Finding a way to stop negative thinking is so important for the state of your mental health. Negative thoughts are like poison for the mind. We all have moments when our mind gets carried away with itself and we build mountains out of mole hills. For some people it is easy to stop this self sabotage, they can move on very quickly and easily without the negative thought making much of an impact. For others, myself included the ability to stop negative thinking is not so easy. Depression and anxiety have been a part of my life for some years now and over time I have learnt and am still learning how to manage my mental chatter. I have written this post to reach out to everybody though, as I believe negative thinking affects us all at some point or another. Here I will share the technique that I use to stop negative thinking and have found most helpful in taking back some control over my thoughts, I hope it will help some of you too. Just to share an example of my previous train of thought and daily self sabotage. In the past a negative thought would enter my mind, within no time at all I would have blown the whole thing out of proportion. What will I do? What are they saying about me? How can I handle this? I’m not good enough? What if this?…..What if that?……What if??? What if??? You get the idea. By the time I had finished I had totally taken the negative thought and run away with it, twisting and turning it into some whole other problem causing myself a total nightmare. I was making myself ill going through this mental routine for hours on end each day. 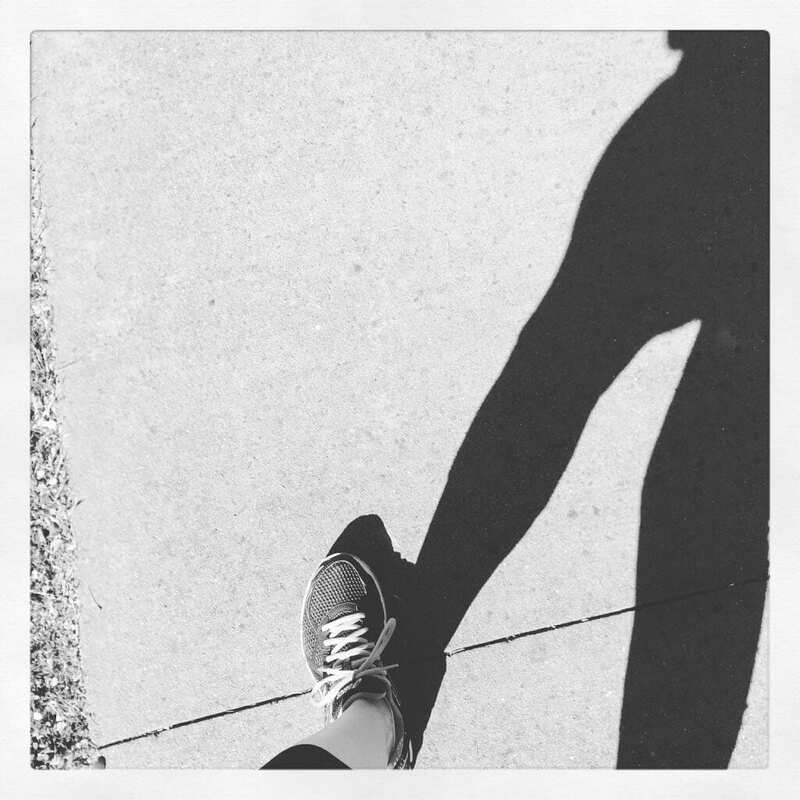 I decided to get help, and here’s what I learned. The past can hold many amazing moments for us all, things we want to remember, people we have shared things with and experiences that have enhanced our lives. There are many elements of our pasts that we deeply hold onto and we should look back on the happy times. However not all our memories are good ones. Therefore we must practice remembering that we can’t change the past. Don’t beat yourself up over mistakes you feel you have made and wrong paths you think you’ve walked down. Leave that aspect of the past alone, reflect on your negative memories but the key is not to dwell on them. Click HERE to read all about mindfulness, the art of living in the moment. This bad habit is not useful and will not benefit you in any way. To stop negative thinking takes a lot of practice for some people including myself. I know it’s easier said than done, but try to use a negative memory by turning it into a positive one for the future, use it as a lesson to live your life by in the here and now. The same can be said for the future. The future is just that….. it’s in the future. We don’t know for sure what will happen, how it will happen or if it will even happen!! How many times have you built up anxiety over something, thinking of all the different outcomes that MIGHT happen. I know I have, over and over again. Each time though I can say that the outcome was never as bad as I anticipated it to be. Therefore there is not much point causing ourselves stress over the unknown. What I do believe now though is that taking control over our thoughts now in this moment can have a huge effect on what the future may have in store for us. What if……… things turn out ok in the end? 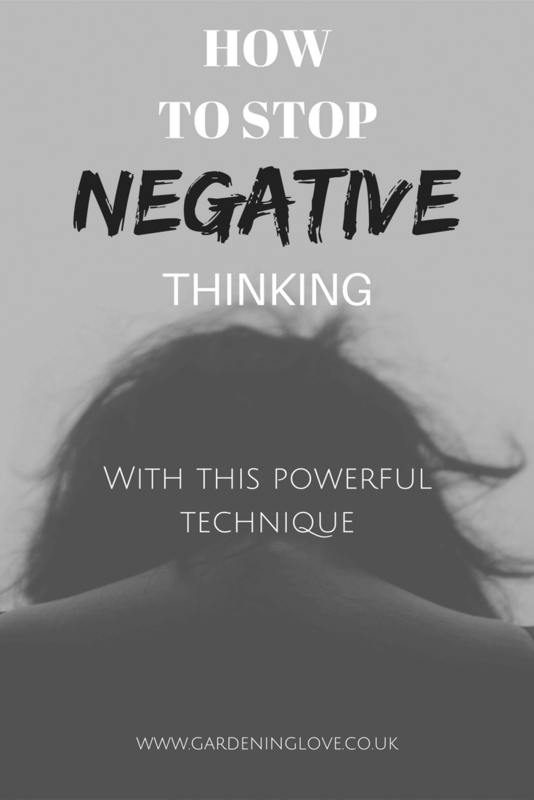 How to stop negative thinking ! Dwelling on the past and stressing over the future causes anxiety. Here is my technique for dealing with this bad habit, it can apply to any type of negative thought, the process is the same. (Now you may think I’m crazy as you read this but all I can say is give it a go, you never know it might help you too). Your walking along/washing up/driving…….. whatever the situation and along comes Mr/ Mrs thought. You process the thought, if it has made you smile, laugh, relax etc, etc then crack on with the thought. If however the thought has released the butterflies in your stomach, a sadness stirs inside of you and your mind starts to go into overdrive then……..
By doing the STOP! action to the thought it immediately nips it in the bud and stops it in its tracks. 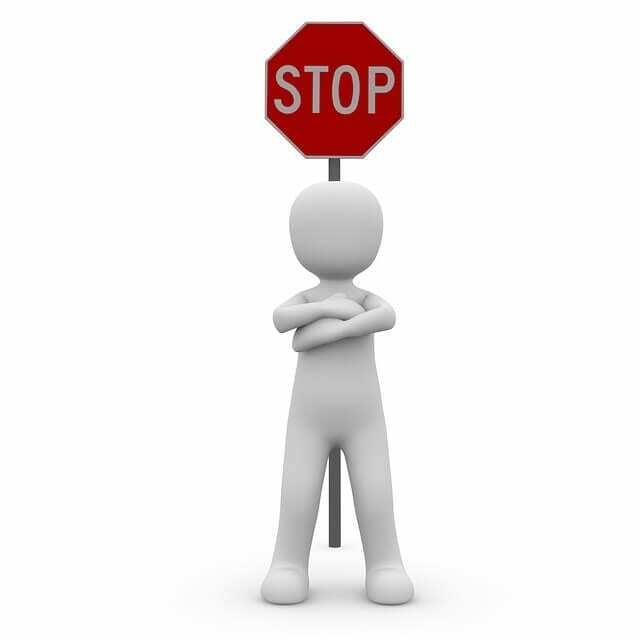 When the thought enters your mind, if it is in any way unhelpful to you then stop it dead! You then push your imaginary BRIGHT RED trap door button and down the shoot goes Mr/Mrs negative. As soon as you have said STOP! and flushed the thought away, IMMEDIATELY take a deep breath or two and say to yourself, right then that’s not helpful I am going to finish this washing up/driving/painting or whatever it is your doing. Finish your task whilst humming or singing or anything that puts an end to the thought in that moment. You will no doubt experience the thought again, it will try to creep back in. When it does, just say STOP! no thanks, i don’t need that unhelpful thought right now. In time you will start to sieve out your thoughts. You will notice helpful thoughts which are going to set you on a logical path or solution. The key is to notice the bad eggs, to sift them out. The power of a negative thought is unbelievable, its the snowball effect that picks up momentum and takes over all of your rationality. It takes a lot of practice but honestly this technique has worked wonders for me. I have to use this technique at least a few times a week but in the beginning it was many times a day. 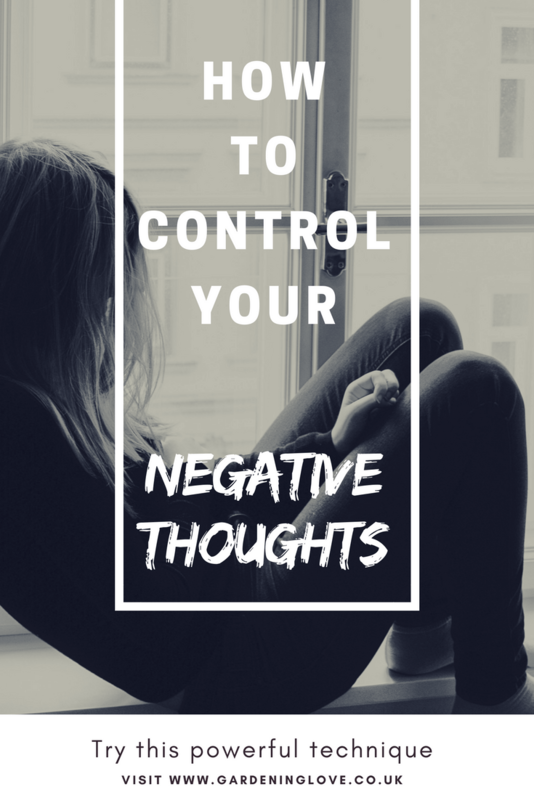 I’m not saying that I never have negative thoughts any more, of course I do but I now have this system I use and with a lot of perseverance I have been able to stop negative thinking in its tracks. Keep going and you will start to notice that you don’t entertain unhelpful thoughts as much. You will begin to stop negative thinking in its tracks and release a positive mindset. 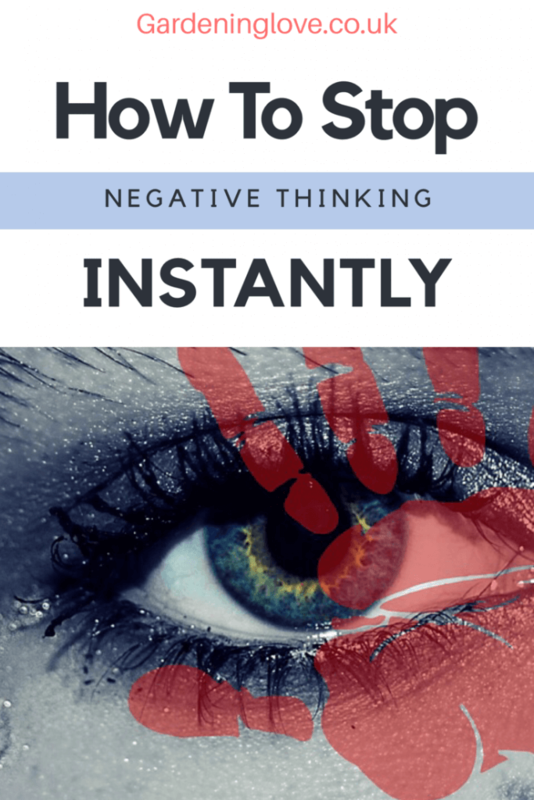 Do you need to stop negative thinking? Do you have any other techniques that help you? Please share this post and add any comments below. I was taught by a counselor to do this, It really works. Thanks for the reminder. I forget to practice it. That’s great that you have found something that works for you. Thanks for sharing your comment. For the last year or so I’ve just been telling my mind to “shut up” when a negative thought appeared, for me it’s worked really, I don’t have to repeat it so many times now. I also always try and list in my mind as many positive achievements I have managed during the day when I go to bed, I always aim for 10, they can be big or small, but all positive. Negative thinking is a really hard habit to break and requires a lot of nurturing. I started using meditation apps years ago to help get my mind in the right place. It’s so important. Isn’t it crazy how many ways we can sabotage ourselves with a single negative thought? This was so helpful! Thanks for a great post! !